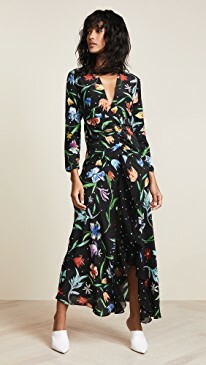 Now in season and available at Shopbop for free shipping to Australia and New Zealand: rich, romantic botanicals from Tibi, Preen by Thornton Bregazzi, C/Meo Collective, RIXO London, Joie, La Vie Rebecca Taylor, Yumi Kim, Tanya Taylor, ASTR the Label, and Lioness. 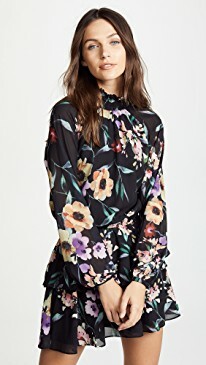 These Moody Blooms are reasonably priced and on trend for the fall season! 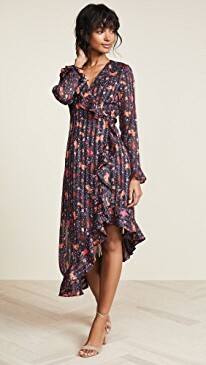 Our featured piece is the Detachable Anorak by Tibi designer Amy Smilovic. 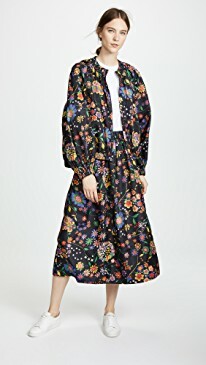 This floral print anorak for those days when just a light windbreaker will do, has detachable hood, a collared neck, a full length zip at the front, welt front pockets, long sleeves and covered elastic at the cuffs. 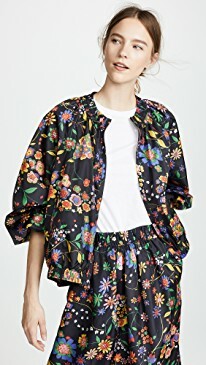 Made from technical weave and featuring a cartoon-art floral pattern, this adorable anorak is feminine a prime an example of downtown New York chic. 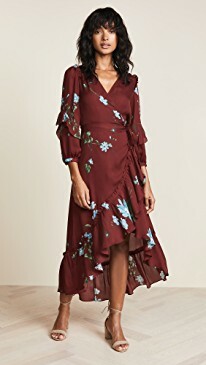 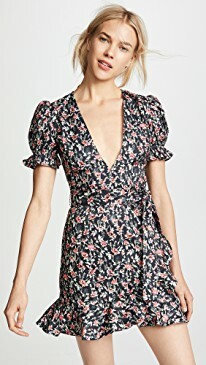 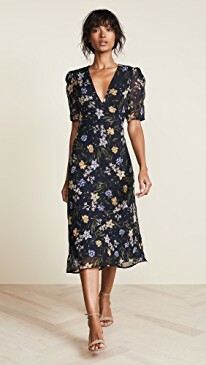 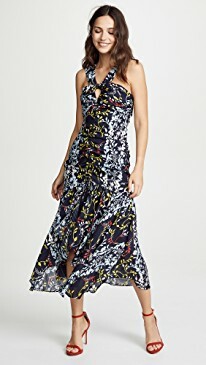 Also available at Shopbop, the matching Smocked Floral Midi Skirt by Tibi, has on-seam hip pockets, covered elastic at the waist, pleats at the front, hidden zip at the back and hook and eye closure.